These images of a cross section of the cereal grain wheat were captured using a 3 megapixel educational microscope camera and a student biological microscope. 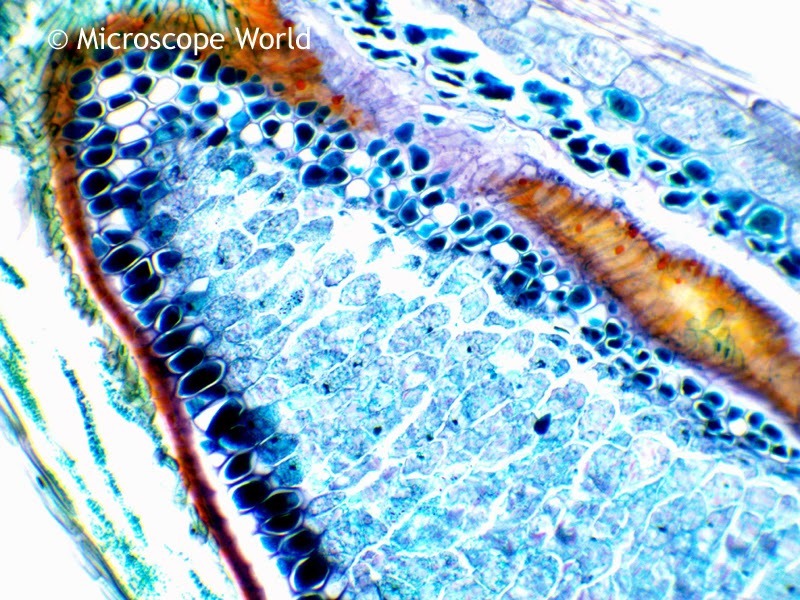 Wheat under the microscope at 40x magnification. 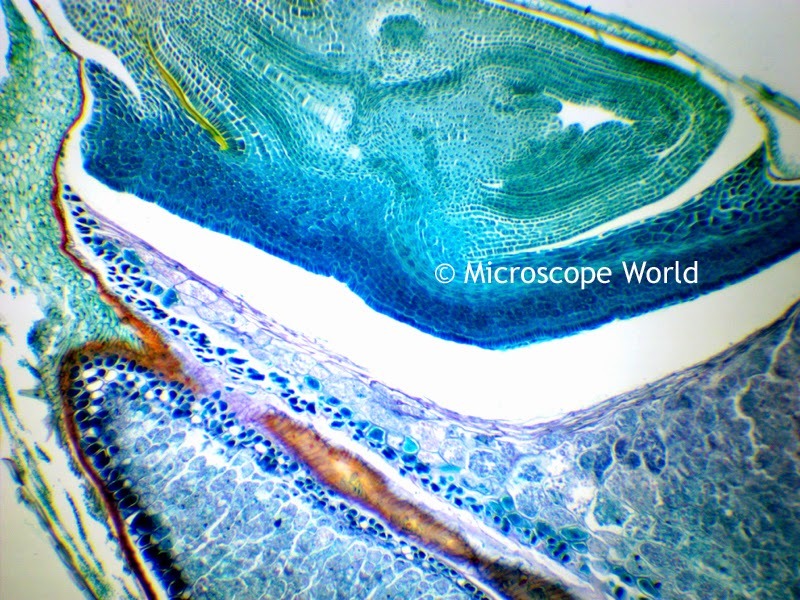 Wheat under the microscope at 100x magnification. 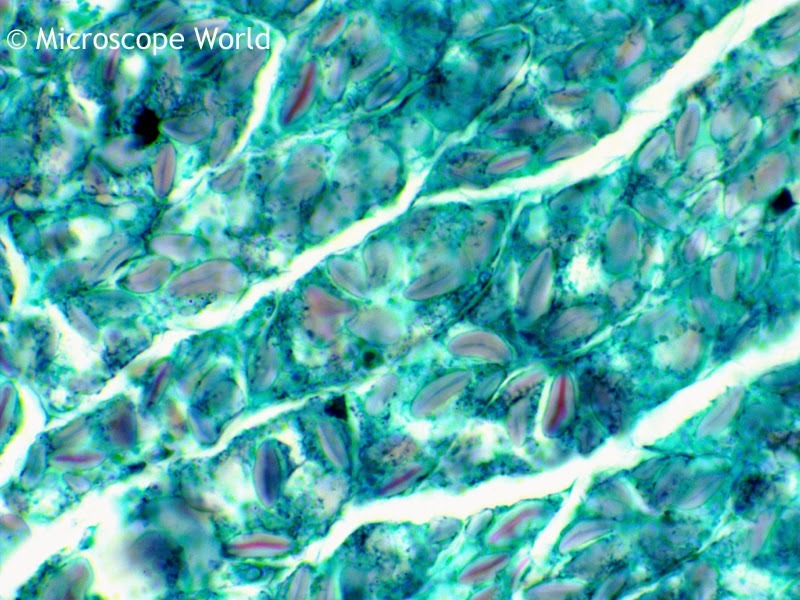 Wheat under the microscope at 400x magnification.